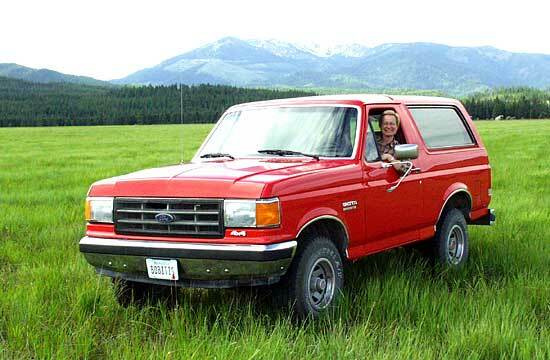 In 2001 one of my fondest dreams came true: I finally got a Ford Bronco! He was born in 1998; his name is "Old Bob" (for "Bobitis"). He will stay in Montana, where he belongs. After Klaus had him secretly repainted, Jamie renamed him "Bold Bob." You can see the original Bob by moving your mouse over the picture).